My Pieces of Time: RRR Blog Hop Time!!! Hello, it's that time again! 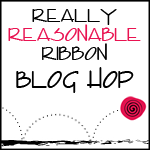 Time for another fun Blog Hop at Really Reasonable Ribbon!!! I hope that if you are just starting here that you will go here: Really Reasonable Ribbon and start at the beginning! If you are already participating you have arrived here from Heidi's blog and I welcome you!!! Now, here is what I have created with the wonderful June Ribbon Club Assortment pictured below! Now, here is what I created with this lovely collection of ribbon!!!! Here are a couple of close-ups to show the detail! I used some small blooms and chippie accents for embellishments and that was it! A very simple page! I cut some of the stars from the Moxxie "Hometown Celebration" paper and put them on pop dots, added a button and put at the top of each strip of ribbon. You can see the beautiful texture on the red ribbon!!! Your next stop will be Misty's blog!!! Fantastic!! Love the way you used the ribbon and that is some awesome Moxxie paper! Great layout!!! I ALWAYS love a layout! I love how you used the ribbons and the concept of Freedom! I love how well that ribbon goes with the paper, and the layout is amazing. Well done! Beautiful layout! I love how you used the ribbons! Great paper too! What a cool patriotic layout. I just love what you did with the ribbon. Great job! Beautiful layout. I love all the red, white, and blue. Great use of embellishments. Oh my, this is gorgeous! It's so bright and colorful! It makes your eyes happy! I love the layout, everything goes together so well. Wonderful! Beautiful layout. I love how you used the ribbon. 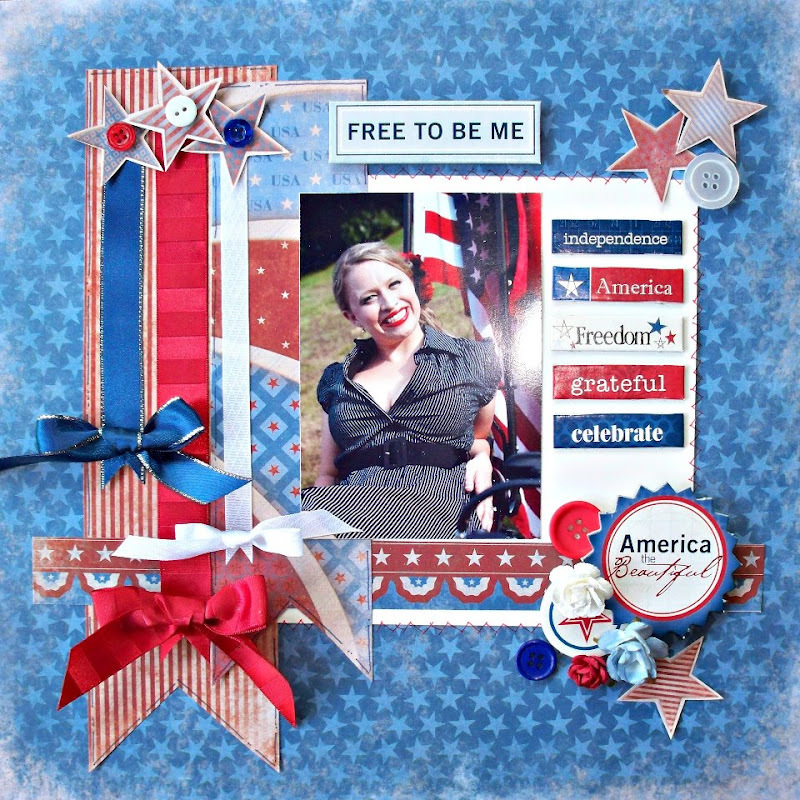 Your scrap page came out so lovely & patriotic love for your family. Love all the details on your page! Great LO! Love how you used the ribbon! so cool how you tied bows at the end of the length of the ribbon, really gives it a party like feel to the layout. nice!! wonderful card with all the cool embellishes. wow, wow, wow....totally stunning!! I also joined the blog hop!! it's really cool!! thanks for sharing. wow, gorgeous creations! Perfect ribbon, perfect papers! Totally gorgeous Patti - love how you have used that ribbon! 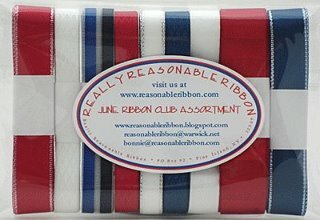 New Challenge #50 at Really Reasonable Ribbon!